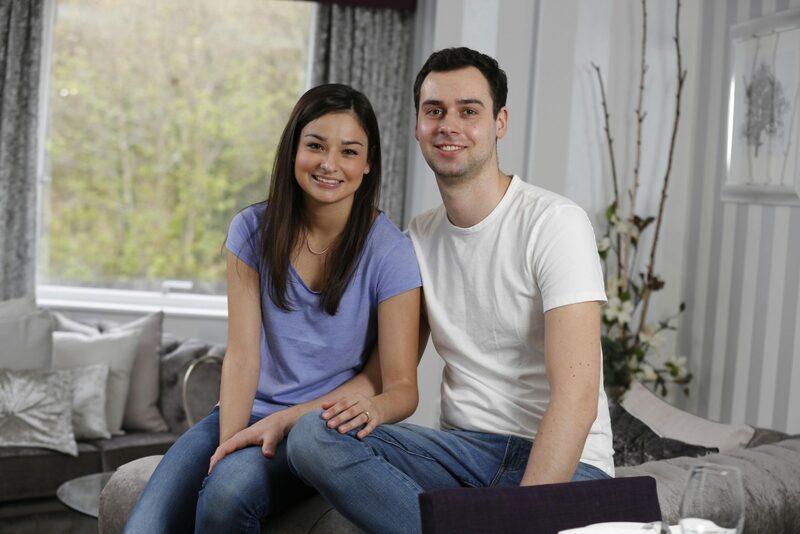 First time buyers Sofia and Tom Brzostowski were delighted to discover that Help to Buy could help them get more for their money with Hodson Developments. According to Zoopla, after London, Surrey is one of the most expensive counties in the country to buy a property. So when newly-weds Sofia and Tom Brzostowski (26,27) decided to get onto the property ladder, even with several years-worth of savings behind them, they were struggling to raise a big enough deposit required to buy even the smallest of properties in the sought-after area. It wasn’t until they came across the government-backed Help to Buy scheme that the couple discovered that they were able to buy a brand new two-bedroom apartment at Viridium by Hodson Developments in Camberley with just a 5% deposit. Help to Buy is the government-backed homebuying scheme that allows anyone buying a new home to do so with just a 5 % deposit. Homebuyers receive a 20% interest free equity loan which together with the deposit, allows them to gain access to much more affordable 75% mortgage interest rates. The scheme which is available on all new homes under the value of £600,000 has been very popular since its launch two years ago, helping thousands of buyers get on or move up the property ladder. The recently married couple had been renting a compact one bedroom flat in Guildford where they were spending £850 a month in rent. Now, with Help to Buy Sofia and Tom are about to move into a spacious two bedroom apartment at Viridium where they expect to pay a monthly mortgage of just £820, offering them a small monthly saving. Buying a top floor two bedroom apartment at the exclusive Viridium development right at the heart of Camberley, the couple are delighted with their new property. Offering superb views across Camberley and Surrey countryside, Sofia and Thomas hope that this will now be home for at least the next five years. Located on Frimley Road, Viridium is an exclusive gated development by award-winning housebuilder, Hodson Developments. Set over three buildings with both countryside and town views Viridium comprises an outstanding collection of one, two and tree bedroom apartments, garden apartments and penthouses within private landscaped gardens. The development also provides private off-road over and underground parking for its residents. Ideally situated for Sofia to travel to work by train in both Guildford and London from nearby Camberley stations, Thomas will travel to Woking by car. Camberley is also well located for access to London, the M3 and the road network beyond with Heathrow just 16 miles away.